Many people understand that bankruptcy is an effective way of wiping out certain unsecured debts like credit card or medical debt. But bankruptcy also has many benefits you might never have heard of. Some of the more surprising benefits include the following. Many debtors are paying more on their car than it is actually worth. If you file for Chapter 13 bankruptcy, then you can reduce the amount of debt by using the “cramdown” procedure. It works like this: say you bought a new vehicle for $30,000 in 2015. Now, three years later, the car is only worth $18,000 because of depreciation, but you still have $25,000 left on your loan. Using the cramdown, you can reduce the amount of your loan to the value of the car–$18,000. Once you pay off $18,000, you own the vehicle free and clear. After filing for bankruptcy, the court enters an “automatic stay,” which prevents creditors from collecting on debts. For example, a creditor might have garnished your wages because you haven’t paid a court judgment entered against you. With the stay, the garnishment must completely stop. Even better, the stay is in place for the entirety of your bankruptcy case. Just as the automatic stay stops garnishments, it also can stop a car repossession. If your car is nevertheless repossessed, you can have the creditor sanctioned for being in contempt of court. Of course, a creditor can get the stay lifted, but they will need to go into court and file the paperwork. Often, they don’t—and until they do, you can continue to use your car free and clear of any repossession. Financial stress takes a toll on both your body and your mind. Many people struggle with sleepless nights as they worry about how they will continue to pay their debts. Even worse, collection agents can call you at home or send you threatening letters. It isn’t surprising to fall into a depression, gain weight, and lose hope. Bankruptcy allows you to take control of your finances in a way that is empowering. It should also reduce your stress. After filing, collection agents can no longer contact you, and you can begin planning how to spend the money that will be freed once you wipe out unsecured debts. A little-known benefit of bankruptcy allows you to eliminate junior liens on your home. For example, your home probably has a mortgage on it, which is the primary lien. But there might be other liens on the property, from a second mortgage or from a judgment creditor. In a Chapter 13 bankruptcy, you can strip off these junior liens if they are wholly unsecured. If your home is upside down, then often lien stripping is an available option for you. Bankruptcy has many surprising benefits which cannot be explained here. 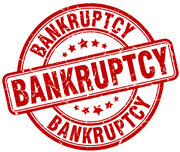 Because everyone’s situation is different, you should meet with a bankruptcy attorney to analyze how you will benefit. With offices in Plantation, Miami, Boca Raton, and Jupiter, Nowack & Olson is easily accessible to residents of South Florida. Contact us today to schedule your no-risk, free consultation.